Sig Sauer P250 and P320 factory replacement magazines are available in all the calibers and capacities that the pistols come in. Sometimes the quickest way to solve a problem with feeding or cycling is to make sure you are using only original factory magazines in your Sig Sauer P250 and P320 pistol. 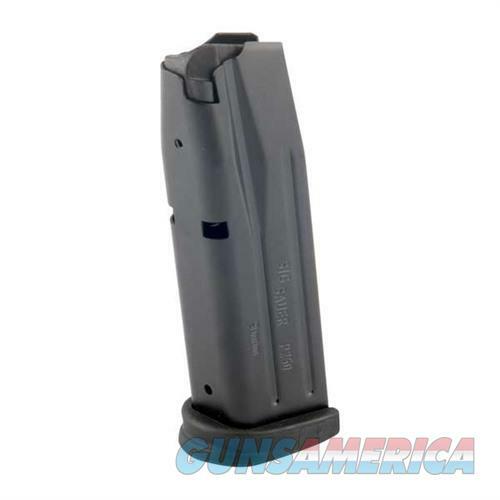 All Sig Sauer P250 and P320 factory replacement magazines have a hardened steel mag body with a durable satin black finish, plus a black polymer follower and removable base plate. Extended capacity P250 and P320 magazines have a longer base pad that protrudes below the grip of the pistol when seated in the magwell.